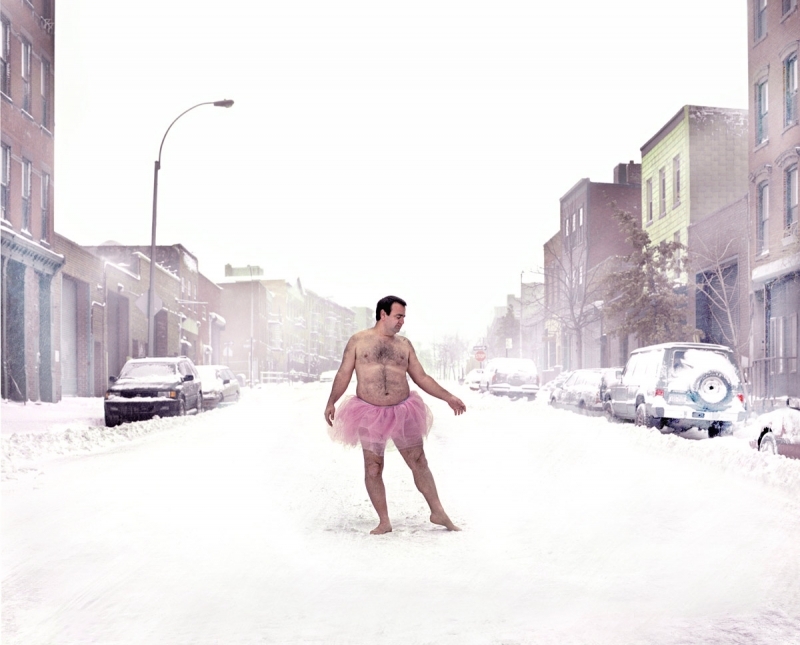 This is the heartwarming story of a man and his tutu. For photographer Bob Carey and his wife Linda, a man-sized pink tutu has taken on incredible meaning in their fight against breast cancer. The Tutu Project started in 2003 when Carey donated a picture of himself wearing a custom-made ballet skirt as part of a fund raiser for the Arizona Ballet. 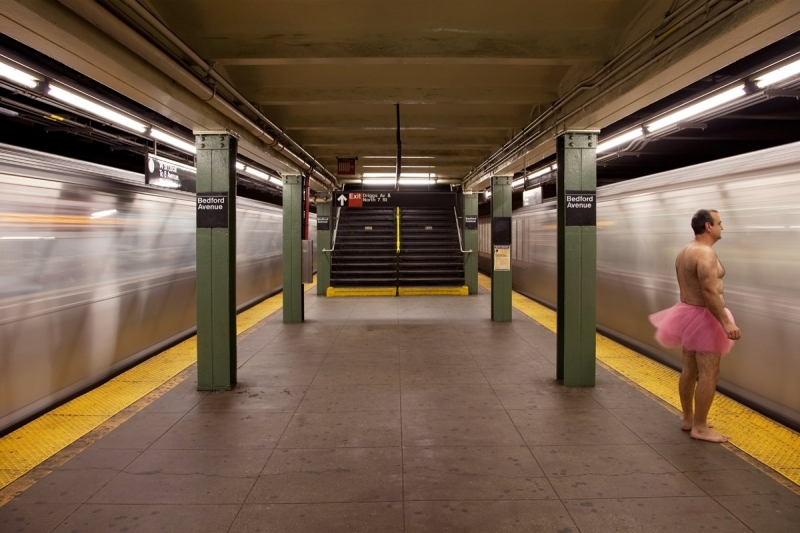 The Brooklyn photographer, whose wife is battling a recurrence of the disease, goes out into the world wearing a giant tutu and nothing else on his hairy, un-buff bod. The project has taken him from Italy to Times Square, and he hopes to turn the wacky photos of himself into a book to benefit breast cancer patients. Every time he went on the road, Bob would pack the fluffy tutu. Hilarity ensued. Most New Yorkers who want to raise money to fight breast cancer buy a pink ribbon or sign up for a walk-a-thon. Bob Carey is not most New Yorkers. The overwhelmingly positive reaction to Carey's photos has inspired him to take the project further, making a book of the images entitled Ballerina. To support simply visit www.thetutuproject.com. The Carey Foundation’s mission is to provide financial and therapeutic support to women diagnosed with breast cancer and their family members. We raise awareness and fundraise with the help of The Tutu Project, a photographic journey of a man and his tutu, created by photographer Bob Carey and his wife Linda. Funds raised are provided directly to organizations such as CancerCare and Beth Israel Integrative Oncology that offer assistance with cancer-related costs such as; transportation to treatment, home care, childcare, medical supplies and integrative medicine. The Foundation will seek to alleviate the stress and burden of breast cancer so that individuals can focus on their life.